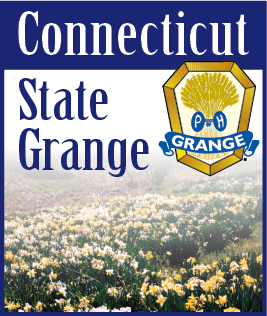 It is with deep sadness that we report the passing of Past CT State Grange Chaplain Amy Whitcomb. We extend our condolences to Amy’s family. Amy was a member of Taghhannuck Grange No. 100 and Mountain County Pomona No. 4. Well done, good and faithful servant. A Memorial Service will be held on Wednesday, February 7th, at 2:00 pm at the United Church of Christ, 8 Bolton Hill Road, Cornwall, CT 06753. The church is located between the Post Office and Cornwall Town Hall.